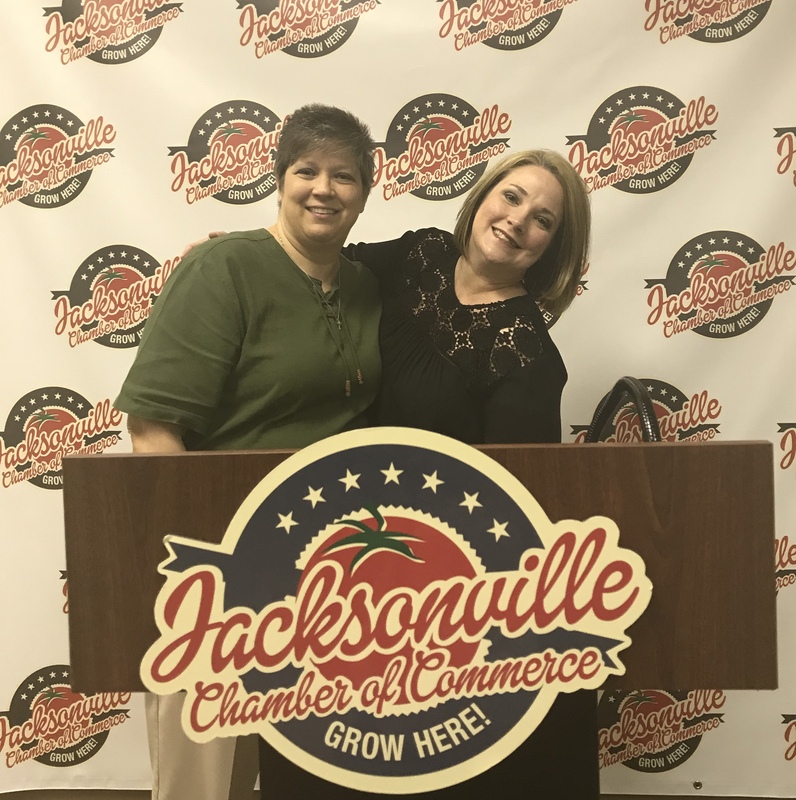 Welcome to the Jacksonville Leadership Institute’s page! I am so glad you are here! The question is often asked “are leaders born, or are they made?” I believe that it is both. Someone can be born with leadership qualities, but it is up to other leaders to grow and develop those that come after us. Good leaders raise up good leaders. The Jacksonville Leadership Institute was born out of those leaders that came before us over 30 years ago. It was decided that there needed to be an avenue to train and encourage those that already lead and those that had the potential to lead. That idea is still true today. Many of our city’s leaders have obtained valuable lessons and characteristics picked up from their experience in JLI. 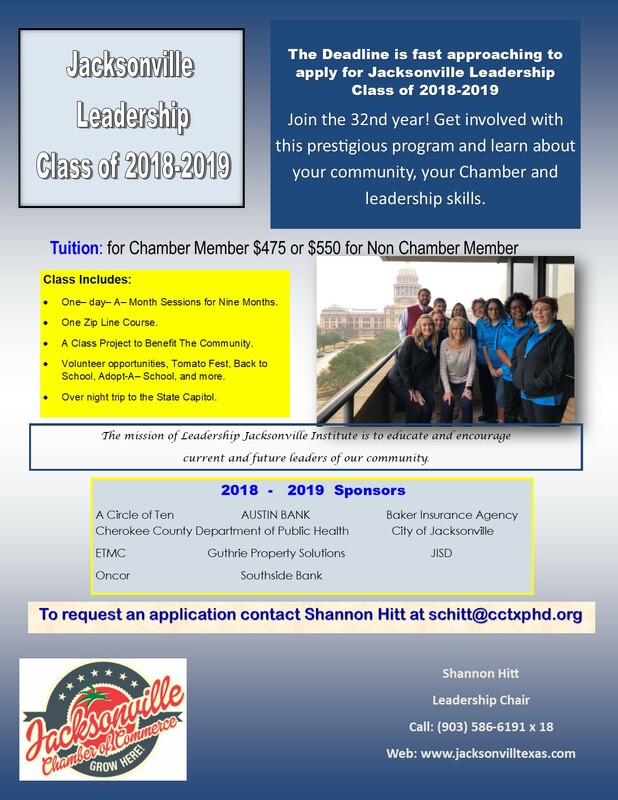 Throughout your time in this class you will learn valuable leadership skills, learn about your own strengths and weaknesses, learn things about Jacksonville, Cherokee County, and the state that you may or may not have known, and meet and make lifelong friends and colleagues. I hope and encourage you to get involved in this worthwhile organization. I encourage those that have gone through before us to get involved with the alumni association. Your learning does not end at the completion of your time with JLI. It is most certainly the beginning! 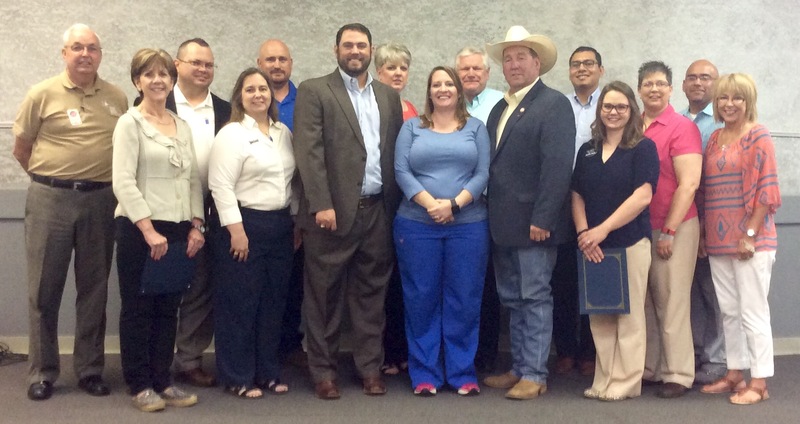 Thirty plus years strong – Jacksonville Leadership Institute program of the Jacksonville, Texas Chamber of Commerce secures up to 13 students each August to begin a 9-month leadership program. The monthly sessions begins in September with a graduation event in May. Not only will the students learn leadership skills but also will learn more about the community. Each month the students will learn about the education, history, industries, economic development, local and State government meeting people to learn about these areas. Students see and learn things they would otherwise never have the opportunity to see or learn. Mission Statement: The Jacksonville Leadership Institute is to educate and encourage current and future leaders of our community. Shannon Hitt at schitt@cctxphd.org or (903) 586-6191 x 18.